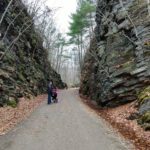 Short off shoot trail from the Hop River State Park trail climbs steeply up to an overlook where a popular painted rock faces the state highway below. 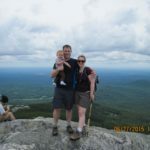 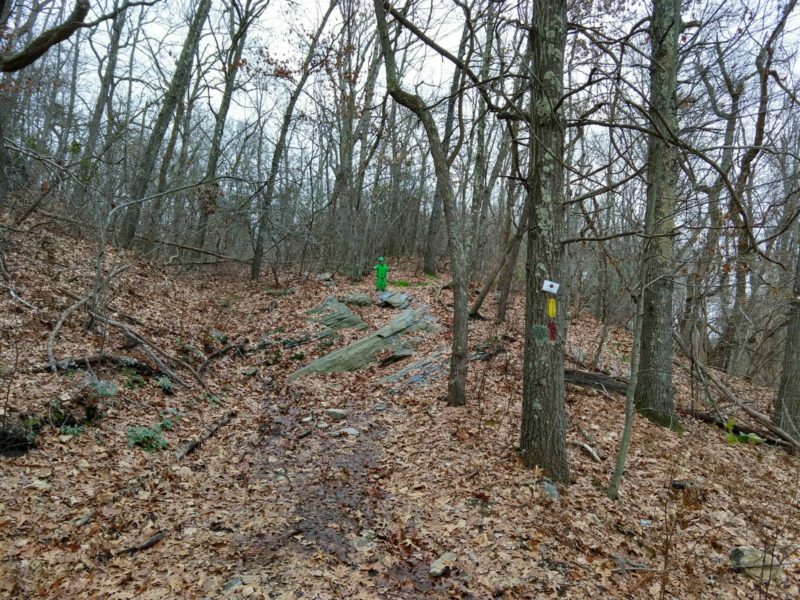 Easy carrier hike, challenging for little walkers. 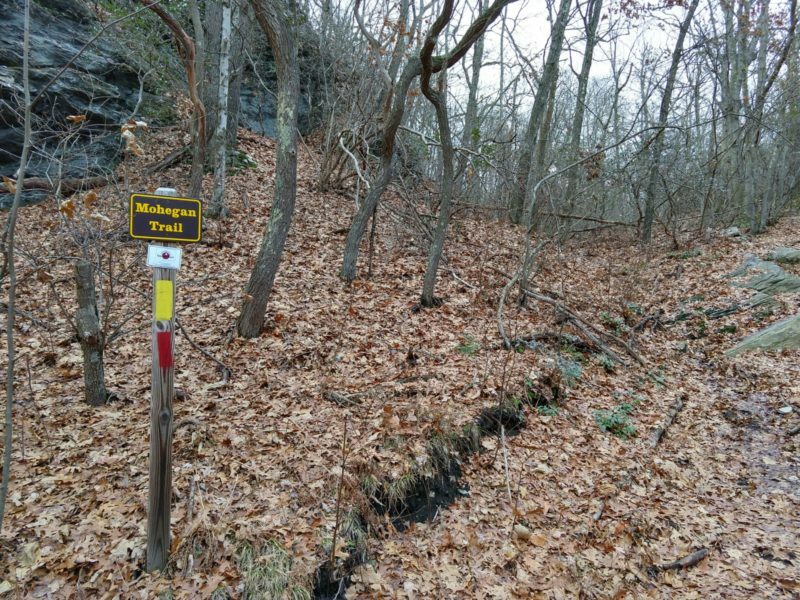 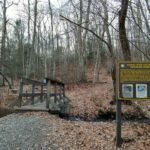 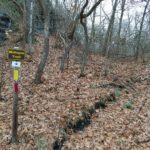 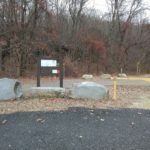 Follow signs for the Mohegan Trail (yellow blazes) and then split and follow the (red blazes) to the overlook before returning to the Mohegan trail or rail trail below.